The Best Tourism Marketing Blogs from thousands of Tourism Marketing blogs in our index using search and social metrics. We’ve carefully selected these websites because they are actively working to educate, inspire, and empower their readers with frequent updates and high-quality information. Tourism Marketing newsletter is a comprehensive summary of the day's most important blog posts and news articles from the best Tourism Marketing websites on the web, and delivered to your email inbox each morning. To subscribe, simply provide us with your email address. San Francisco, CA About Blog Sojern's blog is the go-to resource for travel marketing professionals. Find out the latest news and trends, as well as in-depth information on how to market and manage your travel. Facebook fans 23,430. Twitter followers 7,443. New York About Blog We specialize in Travel SEO and marketing for the travel industry. Follow us to keep up with best practices and strategy for travel marketers. Facebook fans 446. Twitter followers 305. Oklahoma City, OK About Blog Providing daily marketing, social media and customer service insights, tips and best practices to drive your destination marketing initiatives Back To You. Facebook fans 125. Twitter followers 396. Jacksonville, FL About Blog Vizergy Travel Marketing serves the world's travel and hospitality industry with fiercely competitive tools to maximize revenue. Our formula for success includes cutting-edge technologies, proven digital marketing programs and the best professionals in the industry. Facebook fans 2,313. Twitter followers 1,314. About Blog Leading tourism marketing agency that generates business for DMC's, hotels, and Tourism Boards. We are conveniently located in Dubai and connect the Middle East. About Blog Welcome to the content marketing and tourism blog. Subscribe us to keep up with the best tips and informations in order to increase your business and tourists knowledge. Facebook fans 1,135. Twitter followers 1,342. About Blog We provide website builder and online marketing solutions for destination marketing organizations (DMOs) and tour and activity operators. Our aim is to attract more tourists with less effort by providing you with your own customizable destination website. Facebook fans 2,690. Twitter followers n/a. About Blog Advance Travel & Tourism is a destination marketing team within Advance Local, one of the leading media and marketing companies in the United States. Facebook fans 379. Twitter followers n/a. About Blog Dana's travel marketing blog covers trends, strategies and tactics in branding, creative, web design, SEM, print, digital and social media. About Blog Welcome to the SMG Marketing Blog! We post our thoughts and updates on tourism marketing, hospitality, TBIDs, and the state of the industry. About Blog Tourism marketing and management features insights and knowledge from International Master's Degree Programme by University of Eastern Finland. Facebook fans 1,882. Twitter followers n/a. About Blog Axis Travel Marketing is a London-based travel marketing and PR agency. Our team comprises experienced marketers with tour operator, PR and journalism backgrounds. 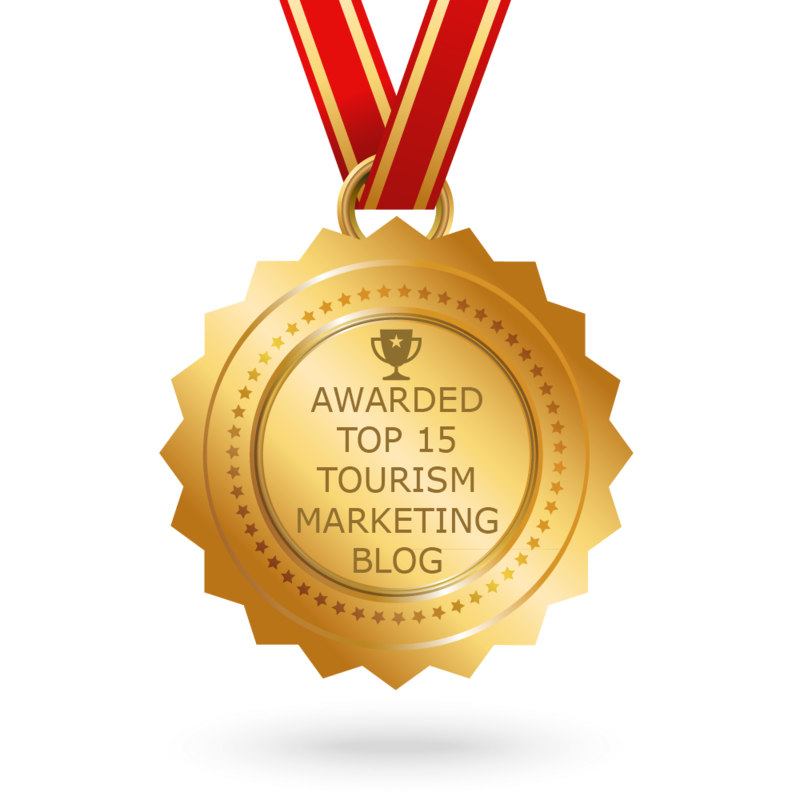 CONGRATULATIONS to every blogger that has made this Top Tourism Marketing Blogs list! This is the most comprehensive list of best Tourism Marketing blogs on the internet and I’m honoured to have you as part of this! I personally give you a high-five and want to thank you for your contribution to this world.